Over 300 Prophecies Jesus fulfilled. A priest like Melchizedek. The Jewish Messiah also had to suffer and lay down His life for our sins. This is clearly shown in Isaiah 53. He did this for both Jews and Gentiles. There were over 300 prophecies foretold about the coming Jewish Messiah - hundreds of years before Jesus was born in Bethlehem. Of these 300+ prophecies, there are 109 that only Jesus (Yeshua) could have fulfilled. His name in Greek is Jesus, and His Hebrew name is Yehoshua. In Aramaic it's: "Yeshua". 42 Here is my servant! I have made him strong. He is my chosen one; I am pleased with him. I have given him my Spirit, and he will bring justice to the nations. 2 He won't shout or yell or call out in the streets. 3 He won't break off a bent reed or put out a dying flame, but he will make sure that justice is done. 4 He won't quit or give up until he brings justice everywhere on earth, and people in foreign nations long for his teaching. 5 I am the LORD God. I created the heavens like an open tent above. I made the earth and everything that grows on it. I am the source of life for all who live on this earth, so listen to what I say. 6 I chose you to bring justice, and I am here at your side. I selected and sent you to bring light and my promise of hope to the nations. 7 You will give sight to the blind; you will set prisoners free from dark dungeons. 8 My name is the LORD! 9 Everything has happened just as I said it would; now I will announce what will happen next. 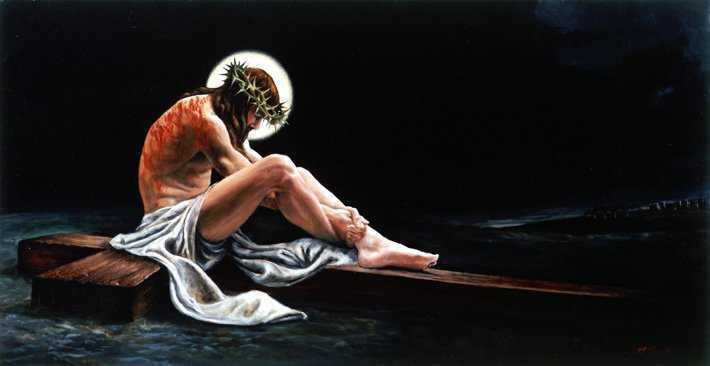 Jesus rose again to sit with the Eternal Father, as one with the Father. It’s the greatest miracle God has ever performed. God’s Son who once was dead, has risen to new life forever. This great miracle is the the joyous hope for humanity. Satan thought he was the winner. While Jesus hung on the cross outside of Jerusalem, Demons were roaring in triumph... only to realize to their horror that Jesus was the winner after all. 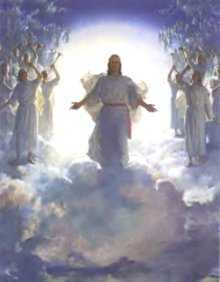 Jesus descended into the demonic world and took the keys of death and life back from satans own claws. Jesus gave Himself to be killed, so that He could take away the authority of satan over mankind. Isaiah 35:5-6 (written: 712 BC (Before Christ) - Then the eyes of the blind shall be opened, and the ears of the deaf shall be unstopped. Then the lame shall leap like a deer, and the tongue of the dumb sing. For waters shall burst forth in the wilderness, and streams in the desert. Isaiah 9:6 (written: 712 BC (Before Christ) - For unto us a Child is born, unto us a Son is given; and the government will be upon His shoulder. And His name will be called wonderful, Counselor, Mighty God, everlasting Father, Prince of Peace. Isaiah 42:1 (written: 712 BC (Before Christ) - "Behold! My Servant whom I uphold, my Elect One in whom My soul delights! I have put My Spirit upon Him; he will bring forth justice to the Gentiles. Isaiah 11:10 (written: 712 BC (Before Christ) "And in that day there shall be a Root of Jesse, who shall stand as a banner to the people; for the Gentiles shall seek Him, and His resting place shall be glorious." Isaiah 8:8 (written: 758 BC (Before Christ) "And he shall pass through Judah; he shall overflow and go over, he shall reach even to the neck; and the stretching out of his wings shall fill the breadth of thy land, O Immanuel." kingdom, To order it and establish it with judgment and justice. From that time forward, even forever"
believeth shall make no haste." John 12:13-14 "They took palm branches and went out to meet him, shouting, 'Hosanna!' 'Blessed is the King of Israel!' 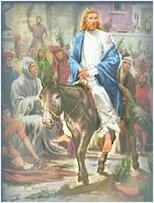 Jesus found a young donkey and sat upon it, as it is written." What about the 70th Week Daniel Spoke of? The "week" between the 69th and the 70th is where we are now living thanks to God's benevolence. 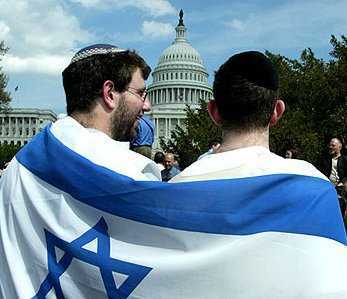 the houses of Israel, for a gin and a snare to the inhabitants of Jerusalem." Psalm 118:22-23 - The stone which the builders rejected has become the chief cornerstone. This was the LORD'S doing; it is marvelous in our eyes. slaughter, and as a sheep before her shearers is dumb, so he openeth not his mouth." Lord shall prosper in his hand." righteous servant justify many; for he shall bear their iniquities." transgressors; and he bare the sin of many, and made intercession for the transgressors." down at noon, and I will darken the earth in the clear day:"
Luke 24:45-46 And the sun was darkened, and the veil of the temple was rent in the midst. 46 And when Jesus had cried out with a loud voice, he said, Fathey into thy hands I commend my spirit: and having said thus, he gave up the ghost. as an eclipse of the sun. There was no eclipse of the sun that year. even from the rebellious--that you, O Lord God, might dwell there." Isaiah 25:8 (written: 712 BC (Before Christ) - He will swallow up death forever, and the Lord GOD will wipe away tears from all faces; the rebuke of His people he will take away from all the earth; for the LORD has spoken.